Finally the time has come. My workstation has served me well for the past 5 years, but with the increasing workload I put it through its time to upgrade. Learn the full details of I feel now is great time to make the move to the intel i7. Recently one of my clients asked me this question. Rather than getting into a detailed discussion of how the internals of a computer works, I made an analogy to help my client understand what cache is and what it does. To hear my full analogy and a little history on cache read this entry. 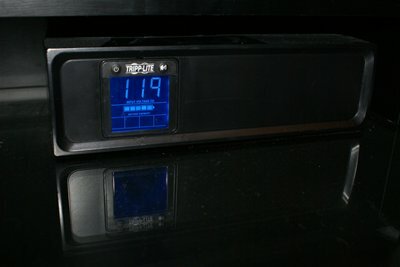 If you read my previous article you surely noted that 1 of my 3 Samsung Syncmaster 175V displays was having problems. What do you do when one of your displays goes out? Replace it with two bigger ones. 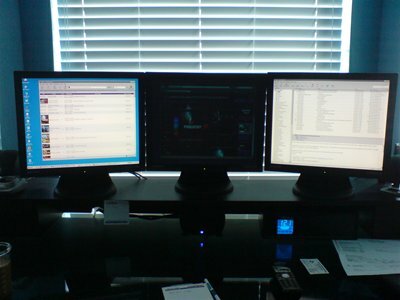 I choose the Samsung 2493HM from newegg because of its ability to swivel for a tall screen. This is especially helpful when writing code. Read more about my setup on the full article. 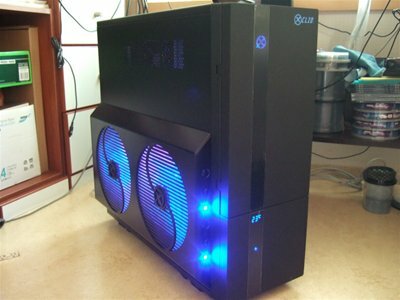 I built my workstation about 5 years ago, and at the time it was cutting edge stuff. However one of my 17 inch SyncMaster LCDs has been having issues for the past couple days. The Picture still shows but its very dim. What is weird is when I hit the menu button the menu comes up with the right intensity. I have searched google and it seems I am not the only person having this problem. 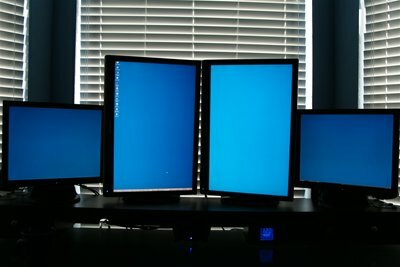 I don't have time to hunt ebay for replacement parts, so I ordered some a couple new monitors off newegg. It used to be you could judge a Chip by its clock speed. It was very easy for just about any consumer to see that a high clock speed meant faster performance. But in today's world of hyperthreading, duel core, quad core, and manufactures stepping away from this logically simple way of judging performance, you almost need a computer science degree to know what is fast and what is not.